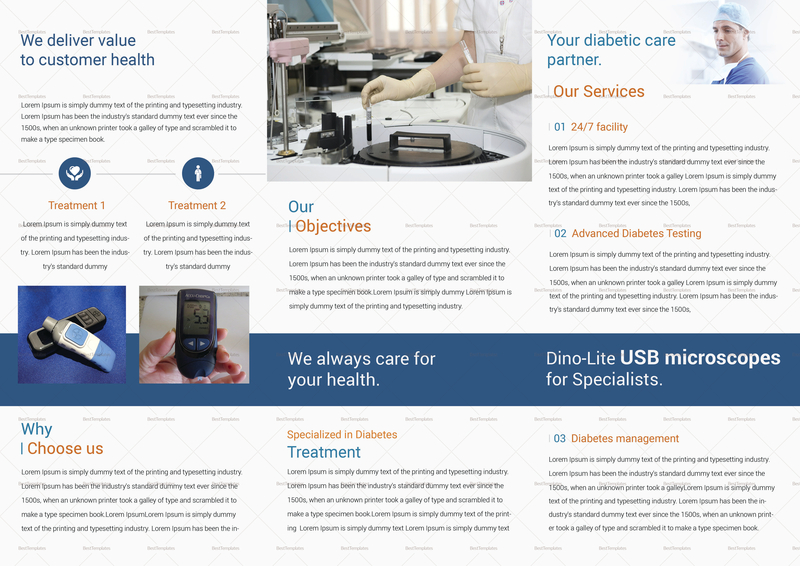 Reach more people in promoting diabetes awareness by using our elegant, informative and well laid out Diabetes Brochure Trifold Template. Edit and print this template on your favorite app that supports MS Word, Photoshop, and Publisher file formats. 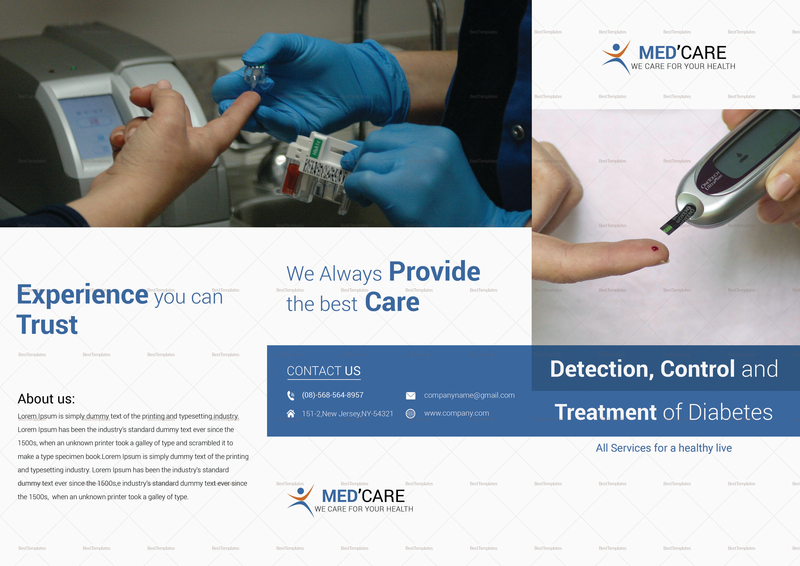 Print anytime and anywhere at your own comfort and convenience.